Other indexes were also down sharply in the biggest market fall since 2011. The S&P 500 fell by 4.1 percent, the Nasdaq, 3.78 percent, and the Russell 2000 by 3.63 percent. Tech stocks recorded big falls, with Apple and Alphabet (the Google parent company) down by more than 10 percent. Every sector of the broad-based S&P 500 index was down. Financial stocks fell 4.7 percent, health care 4.6 percent, industrial stocks 4.5 percent and energy 4.3 percent. The turbulence in the market was reflected in the rapid spike in the so-called Vix, or volatility index, which rose by 117 percent, its largest one-day percentage increase. This marked a major break from the situation last year, when the Vix recorded its lowest ever average annual rate. 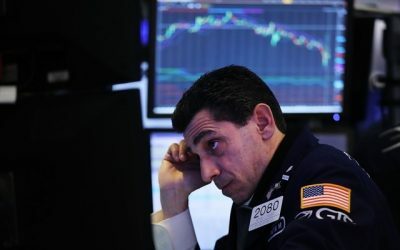 In its report on the market plunge, the Wall Street Journal noted that “traders described a growing sense of anxiety” when the fall in the Dow reached 1,600 points, citing one investment manager who said it was “the first time in a while I’d say it feels like borderline panic-type selling,” as yelling broke out on the floor of the New York Stock Exchange. The rapid plunge raised fears that it could have been the result of a “flash crash”—a sudden fall produced by a so-called “fat finger” trade or some other malfunction. But nothing like that appears to have taken place. The fall was precipitated by large computer model-generated trades. The Wall Street plunge followed significant declines in global markets, as trading opened following the fall in US markets last Friday. The Hong Kong market fell by as much as 2.7 percent at one point, while Japan’s Topix index slid by 2.2 percent. As the trading day began in Europe, markets were also down. London’s FTSE index fell by 1.5 percent, while the Stoxx Europe 600 index lost 1.6 percent. Market analysts and commentators were divided on the reasons for the sell-off. Some have maintained that it is a necessary correction and that the economic fundamentals remain sound, with improved prospects for higher growth. Others have pointed to the moves by central banks to wind back quantitative easing and start to end the low-interest rate regime that has played such a key role in sustaining the market surge since the financial crisis of 2008. While it is impossible to predict the short-term course of the markets, there are clearly significant shifts taking place. The sell-off that began on Friday was triggered by the report that average wages in the US had risen by 2.9 percent over the past year, the largest increase since 2009. This drove an increase in the interest rate on the benchmark 10-year US Treasury bond to 2.85 percent, sparking fears that the rate was on its way to the critical level of 3 percent. The significance of the wage rise was not so much the number itself, a relatively small increase coming in just over market expectations of a 2.7 percent rise, but what it signified. The markets are above all fearful of a resurgence of wages militancy in the working class in the US and internationally, the signs of which are growing. This would force an end to what has been a central aspect of US monetary policy going all the way back to the stock market crash of October 1987. 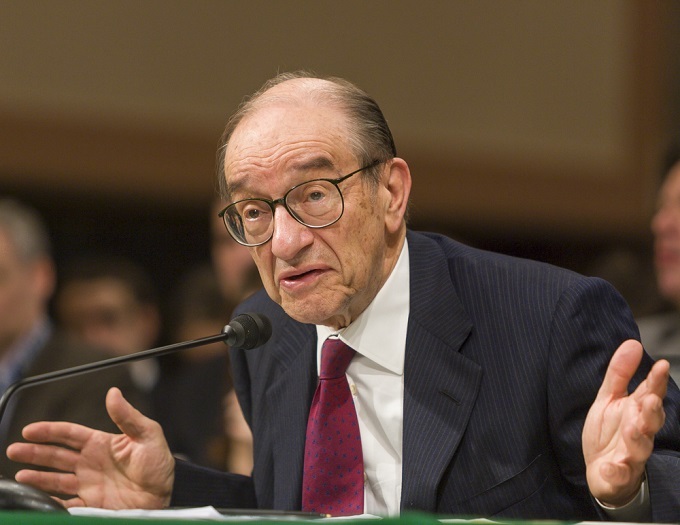 At that time, the incoming chairman of the US Federal Reserve Board, Alan Greenspan (image on the right), announced that the financial spigots of the central bank would be opened to sustain the market, and in every period of market turbulence since then what became known as the “Greenspan put” has been set in motion. But with the working class seeking to push back against the continuous wage cutting of the past four decades, that policy may have to be dropped as the Fed lifts rates to counter such an offensive. While the Fed rate is still relatively low, between 1.25 and 1.5 percent, the move of bond market rates toward 3 percent is regarded with trepidation because of its impact on US firms and its ramifications globally. According to the findings of a report by London’s Longview Economics, the results of which were cited in the Financial Times, if interest rates in the US rapidly move above 3 percent, the impact will be far-reaching. This is because some 12 percent of US companies are “zombies.” That is, their earnings do not cover their interest payments, and a sudden rise in rates would send them into bankruptcy, so dependent have they become on the continuous supply of ultra-cheap money. According to a report published by CNBC on research carried out by the Bank of America Merrill Lynch, there is a similar situation in Europe, with a significant number of “zombie” firms there dependent on cheap credit. The bank report found that 9 percent of companies in Europe were “zombies” with “very weak interest coverage metrics.” This compares to 6 percent in the period before the crash of 2008 and 5 percent in late 2013. “The plethora of monetary support in Europe over the last five years has allowed companies with weak profitability to continue to refinance their debt and stave off defaults,” the report noted. Whatever the immediate future of the markets, yesterday’s sell-off has already had a political impact by deepening the crisis of the Trump administration. Just ten days ago in his address to the summit of the global elites in Davos, Switzerland, Trump cited the rise of the stock market, “smashing one record after another,” as proof of the virtues of his economic policies. In an address at a Cincinnati-area manufacturing company yesterday afternoon, he hailed a “tidal wave of good news,” while television coverage of his speech tracked a further plunge in the Dow toward minus 1,600 points in a corner of the screen.